WHAT IS THE RECIPE DRAWER? 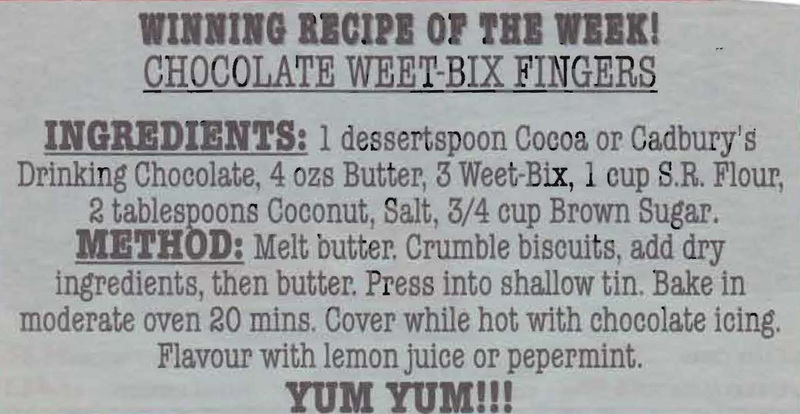 This recipe was published 20 years ago in the Women’s Weekly, the lazy way to make it now would just be to use Oreo biscuits, although the making it with unbaked dough would give it a different texture. Your choice! Australia Day is only a couple of weeks away and how better to celebrate it than with lamb, pavlova and lamingtons. The lamingtons take a bit of patience to make yourself, but are much better than the bought variety. 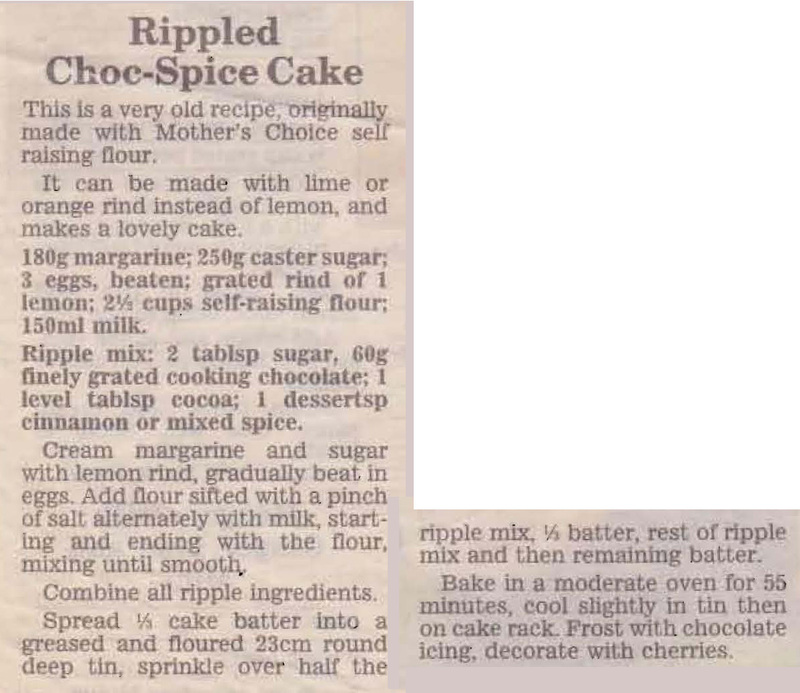 The conversion for this old recipe of Mum’s is: 8oz = 250ml, 4oz = 125g and the 9in square cake tin = 23cm. 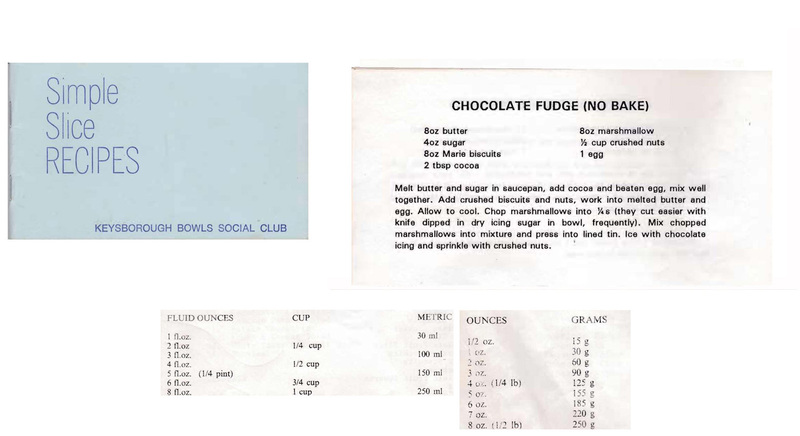 This is another of those slice recipes that Mum’s bowls club gathered together for their Simple Slices Recipes fund raiser booklet. Those ladies certainly had a great collection of recipes and enjoyed sharing them for the club. 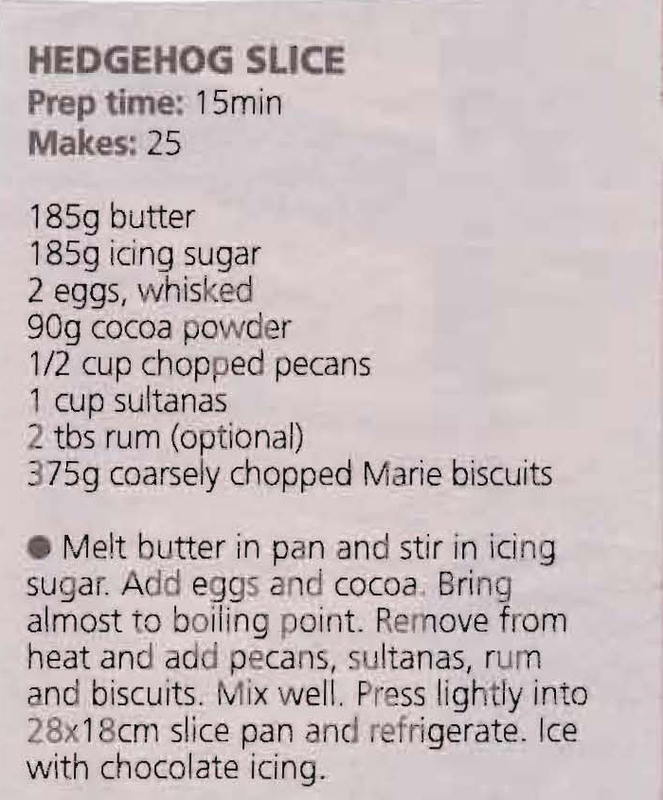 This is a modern version of the old Hedgehog recipe which only has walnuts added to the biscuits, cocoa and eggs. 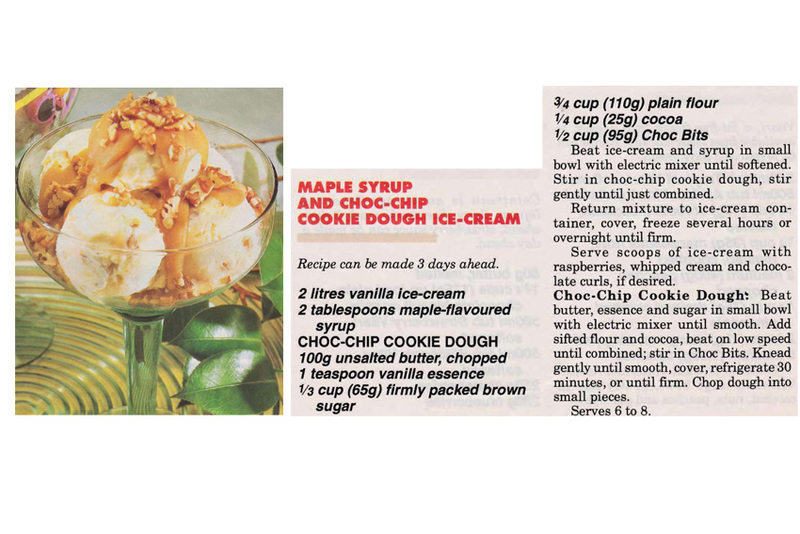 A couple of tablespoons of rum, pecans and sultanas would certainly step it up a bit. When I first read this recipe I thought it was going to be a fairly standard apricot pudding, then I came to the addition of the cocoa and realized it was actually a Chocolate Upside Down Pudding. I then read on to ‘serve warm with custard or cream’ and decided I could eat a piece there and then – yummy.